Amanda Bechen CPA provides a wide range of services. We strive to meet each client's specific needs in planning for the future and achieving goals – in an ever-changing financial and regulatory environment. Clientele select Amanda Bechen CPA to deliver in full-service capacity, as trusted business advisor. Business coaching helps you with the planning details. Coaching is ideal for your initial year and beyond. It’s having someone there with you every step of the way. We help you determine entity type, set-up essentials, operating structure, and overall tax strategy. Beyond such decisions, we stick with you – to implement. Business best practices entail analysis and review of your established systems. Alternative income strategies may be ideal for your operation. Such strategies include rental agreements, home office deduction, royalty agreements, and management services. Best business practices also consider options for fringe benefits, retirement accounts, medical expenses, paying children or spouse, independent contractor relations, tax strategies, and more. From start-ups to expansions, businesses rely on accurate and insightful financial information. You desire profit and new opportunity. We steer you closer to these goals with accurate record-keeping and reporting as well as support on financial issues, such as initial accounting systems and software, general ledger maintenance, internal control, policies and documentation, inventory systems, cost allocations, maintenance of depreciation schedules, and more. We guide you through a full range of tax planning services with strategies that minimize tax liability and maximize cash flow – keeping you on track with goals. We regularly review and update your strategy. We prepare and file the tax returns applicable to your operations. We make sense of your receipts, bills, and notices. Three levels of financial statement service exist, depending on reader needs. Compilations present financial information in the form of financial statements. 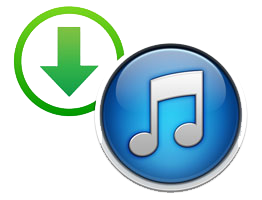 Compilations are based upon information provided by company management. Compilations offer no assurance. Reviews provide limited assurance to outside interests and involve inquiries and analytical procedures. Reviews ensure the integrity of your data. Audits offer the highest level of assurance to third parties, and include analysis of internal control, in-depth examination, and confirmations of transactions. Audits ascertain the validity and reliability of your information. Accurate record-keeping is essential. Yet, it can also be complicated and time consuming. We can handle tasks for you, so that you can focus on your passion. Our payroll services reduce the time you spend on administration. Our computerized payroll system facilitates the processing, payment, and preparation of payroll tax returns. You appreciate periodic feedback on the state of records in your accounting software. We ensure timely, relevant, and reliable financial information. And, we inform you of corrections or adjustments. Reviews are typically conducted on a quarterly or monthly basis.